Located on 355 acres of pristine, East Texan land near Lake Palestine, Emerald Bay is an active community that hinges its attractiveness on the people who live and play there. Found about 12 miles south of Tyler, Texas, Emerald Bay serves as a premiere active living community in Bullard. Emerald Bay’s location also provides a moderate climate, beautiful wooded areas and lakeside views that are unmatched. Some nearby golf courses include Eagle’s Bluff Country Club and Dogwood Trails Golf Club. square-foot facility can accommodate everything from formal events to live bands. Complimented with a fireplace and wet bar area, the club house is a great place to relax or socialize with neighbors and golf partners. The Emerald Bay community also has a long list of organizations for residents and members to become a part of. Majong, men’s and women’s bible study, and the Emerald Bay Cloggers are just a few of the many options you’ll have once settling into the neighborhood. Golfing is the main recreational activity at Emerald Bay, but what sets this community apart from the others are the many different ways the golfing experience has manifested itself. 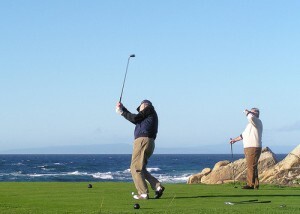 Different golf groups hold events, tournaments and social activities throughout the week. For example, “Army” is a Wednesday tradition where the pro shop arranges groups with four players each, providing handicaps to even out varying skill levels. The team with the lowest net score is dubbed the winner. Aside from these golf groups, Emerald Bay also holds clinics for men and women throughout the year, as well as junior golf sessions for children ages 6 to 15. The average value for homes in the Bullard area is $175,100, which is 9.4% increase from 2012. In the Emerald Bay neighborhood, homes range from just under $250K to well over the $500K mark. Public schools in the Emerald Bay area are under the purview of the Bullard Independent School District. Below is a map of some of the schools in the area. For a complete list, visit the school district website.